Find new ways to connect to your spouse and children. Christ would want us to have better connections to each other. Head and Heart training for closer relationships. Dr. Bradley Nelson skillfully lays bare the inner workings of the subconscious mind to reveal how emotionally-charged events from the past result in "trapped emotions," negative energies that become lodged in the body. Trapped emotions lead to physical pain, depression, loneliness, anxiety, panic attacks and phobias, as well as struggles with weight, stress and other health problems. Dr. Nelson shares his discovery of the heart-wall™, emotional energies trapped around the heart that prevent people from giving and receiving love freely ­– and how releasing trapped emotions often results in the sudden disappearance of health and relationship problems. Tammy Ward is the Founder and President of Hope Haven Events, LLC. They host conferences, (ahem, this one-- for example) retreats, trainings and specialty events to help "empower the individual, strengthen the family and connect community." She is a homeschooling mother to 8 awesome kids ages 8 months to 16 years. Tammy's heart first turned to Christ-centered energy healing when her son received a miraculous healing about 3 years ago. She is careful to follow the Spirit, stay close to her Savior, and believes that this is another great divine tool from God. She is now a certified Foot Zone professional, and is also certified in Kimberly Watt's Synergetic Healing modality & Courtney Beardall's Investigating Health modality. Right now, she is having fun and learning a lot while personally mentoring with Kirk Duncan of 3 Key Elements. She has a deep love for her brother, Jesus. Tammy is super excited to bring these events to the world, and is best known for being a fun and inspirational mover and shaker! She has learned a great deal from her real life experiences with natural healing, miracles, and in overcoming addictions by trusting Heavenly Father and her Savior, Jesus Christ. She is pleased to share some of these experiences with you. How did Ann, a mechanical engineer with experience in flight simulation and explosives, become a sought after keynote speaker and body language expert? By using the same simple transformative techniques that she has taught to thousands. Ann is a dynamic and inspiring speaker and mentor who has given over 1,900 presentations throughout the country. She changes lives through her inspiring story of going from depressed mom with a fancy degree to a successful mentor and trainer. The techniques she shares are simple and down to earth, but her success comes because they work. Ann’s talents are broad and impressive. She is fluent in French, has flown a small airplane, is a certified lifeguard, and holds a black belt in Hap Ki Do. Her wide experience base has prepared her to work with everyone from executives, professionals, and civic leaders to non-profit organizations, religious leaders, holistic experts, and even parents and teens. Ann brings warmth and enthusiasm to her classes by engaging her audience with real-life stories and effective, workable tools. She creates a safe environment of mutual respect, where students can learn the tools to remove self-imposed blocks, transform their income, heal and build stronger relationships, and develop powerful communication skills. Ann speaks from experience. She and her husband have been happily married for 23 years, and they are the parents of 5 incredible children. Let her transform your life today! Ann offers Individual and Group Mentoring sessions, and teaches classes, including: The Frying Pan, Body Language Training, Corporate Training, and other character development programs. Saskia Stallings is the owner of Blissful Living By Saskia. She is a Certified SimplyHealed™ Practitioner, an inspiring teacher, mentor, and loving mother of 7 and grandmother to 1. Saskia received her degree in social work and S.S.W. license 15 years ago, since then she has been actively working with people in helping them to reach goals and move forward. Saskia is passionate about helping others find meaning to life. Her many intuitive gifts and sensitive nature bring compassion and love to others. She has the gift of understanding the needs, cares and fears of others. Saskia’s enthusiasm for life helps her encourage others to step into their divine purpose, gifts, and their pure light. She is a seeker of all things honest, pure and lovely. Naomi Thomas is a social entrepreneur and a professional seed planter. She has a knack for teaching through her words and actions and gently encouraging others to consider thinking about things another way. She can also regularly be found connecting people together and bringing groups with common ground to fruition. Naomi has been working in the professional field of social media since 2009, and has been described as a "social scientist." Aisake Vuikadavu spent 6 years in a boarding school in Fiji growing up, and was saved from being involved in a military coup due to following a prompting he received 2 years earlier. Along the way, he experienced many things that tested his personal value and connection to the Lord. He deliberately "played small" and avoided opportunities that would help him advance because he feared how successful he would be. His experiences and the lessons he's learned have helped him relate to, and help numerous people he's currently mentoring from all around the world. Aisake is happily married to Melinda and they are the parents of 2 beautiful girls. Shelby was born in Pocatello, ID and lived there until she met her handsome hubby and moved away with him to Oregon while he attended Optometry school. Golden and Shelby now live with their 6 children in a country home on 5 acres in Rigby, ID. She loves to cycle (and has done 2 century rides! ), run (participated in a 50 miler!) and be outdoors. She loves her family so much! And she chooses to be physically, mentally and spiritually healthy and active! 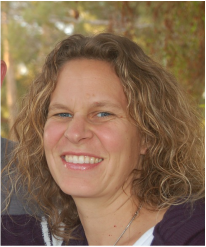 Melissa Eggertson is a Licensed Massage Therapist and is a member of the National Certification Board for Therapeutic Massage & Bodywork. She is a Certified Reflexologist, HypnoBirthing Instructor, and Yoga Teacher. She has extensive experience in Energy Medicine, Traditional Chinese Medicine and Labor Support. She uses a holistic approach to healthcare that enables the body to heal itself from the very core. Knowledge and experience combine with clairvoyance as she uses her God-given gifts to affect change and promote healing. 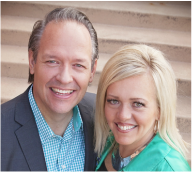 Melissa and her husband David are Certified Parenting Mentors who teach parenting classes with Teaching Self Government. She embraces opportunities to pass her knowledge on to her 3 young children who enrich her life. Melissa is dedicated to continuing her education and helping others to do the same. She is currently the Prenatal, Shiatsu, Thai Yoga, and Eastern Philosophy Instructor at Healing Mountain Massage School in Cedar City, UT. Kami Mitchell is a mother of 3 beautiful children. She has been married for 15 years. She has owned and directed Youth For Freedom since 2002. Kami is a blue belt in 5 types Of karate! She was nominated mother of the year in 2013. 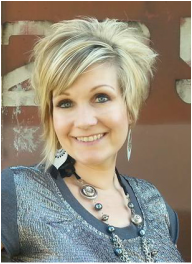 Kami has acted in several musicals, been in leadership roles for her church, is a master connector and sought-after trainer. Kami is an eternal student and lover of life! 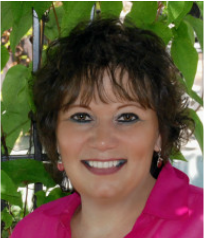 Kathy Truman is a Life Coach, Emotional Release Facilitator and Spiritual Counselor. 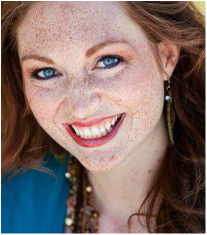 She enjoys teaching and has been a guest speaker at several healing conferences and retreats throughout the state. Her talents also include being a columnist for two magazines, Utah Cancer Connection and Hasten. Kathy is an avid seeker of truth and loves to share inspirational messages with her email group of over 700 people! Kathy is also a professional musician and songwriter. She was the keyboard player for a country/rock/pop band for 22 years. She taught the Master Class in songwriting at the USU Piano Conservatory , tutored for the USU Music Therapy Department, and worked as a professional pianist and studio musician. She teaches how to compose, arrange and improvise on the piano in an online course called "Beyond Reading Notes" at pianotutorial.org. She is also the co-creator of Brain Tunz, an innovative way to teach brain exercises and energy work to children through song and fun. 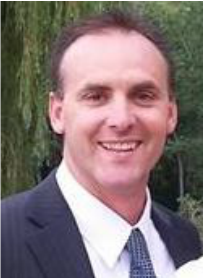 Kevin Hall is a highly sought after business consultant, speaker, coach and author on the subjects of sales, goal achievement, and living a life of purpose and intention. His International bestselling book, Aspire: Discover Your Purpose through the Power of Words, is the highest rated personal development book in the history of Amazon and Barnes & Noble. He is credited with wordsmithing, and trademarking, the original slogan for the 2002 Olympic Winter Games -- "Ignite the Fire Within." He is a co-founder of the Statue of Responsibility envisioned by Dr. Viktor Frankl, author of Man's Search for Meaning. Kevin was a partner in Franklin Quest (which later became Franklin Covey), makers of the Franklin Day Planner. As Vice President of Sales and Training, he helped fuel Franklin's worldwide growth to nearly a half-billion in annual sales. He has been, and continues to be, a life coach for top international sales performers, business leaders, entrepreneurs, and Olympic and World Champion athletes. Kevin has been featured in SUCCESS Magazine, FORBES Magazine, SPEAKER Magazine, WORTH Magazine, The Leadership Network, The Food Network, and as a contributing blogger for Positively Positive. Kevin and his wife, Sherry, are the proud parents of six children. He enjoys cycling , hiking, fly-fishing, cooking, and reading. Casey Ward is the Vice President of Hope Haven Events. They host conferences, (ahem, this one-- for example) retreats, trainings, specialty camps and other events to "empower the individual, strengthen the family and connect community." He is a homeschooling father to 8 awesome kids ages 5 months to 16 years. He has always believed in the powerful concept of entrepreneurship, and has been studying the concept of abundance for many years. Staci Sadler is the self-published author of AURA PERSONALITIES. She writes about the energy and light she experiences first-hand with people. Her website is Aurapersonalities.com. In sharing with others about their auras she discovered her own sensitivities and empathic abilities. For several years she has been providing Aura Personalities classes and sessions with families, individuals, groups and businesses to encourage understanding and acceptance of self and others. Staci has been teaching a 12-week SOUL INTEGRITY MENTORSHIP (in-person and online) for the last 3 years to individuals committed to taking full ownership of their lives. Staci says, "I'm so grateful I've been able to support my little family financially doing what feels like life-mission-type work, founded upon my love and reverence for the Savior, and my knowledge that we are eternal beings, offspring of Divinity, created in and for joy. It is through self-awareness and principles taught by the Savior that facilitates the ability to experience true transformation and joy." 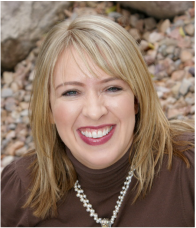 Tamara Laing is the author of Healing Arts - A Gift from God (LDS Insight on the Light of Christ & Energy Medicine). She is a Master Rapid Eye Technician and a gifted facilitator certified in several modalities. She is passionate about researching how the field of Energy Medicine fits with the Gospel of Jesus Christ and she knows He is the source of all healing. Tamara finds great joy in being an Energy Healing facilitator - helping people make peace with their past, releasing unresolved emotions and bringing light to dark places. room, you will find her on a mountain top with her kids or exploring something new. Learning is a life long process and she is always looking for new and better ways to incorporate science, biology and spiritual laws. She is the creator of Investigating health, an energy modality that incorporates all aspects of the human body, including hormones, chemicals, structure, physiology and behavioral disorders. She teaches online courses in energy healing. For more information about Investigating Health please visit her at www.courtneybeardall.com. Bethany Teeples is an intuitive energy worker and mentor. She is the mother of 6 children. She has been trained in Synergetic Healing by Kim Watts. She is passionate about being a tool in Christ's hands for healing. Her company, Glorious Reflections, is a personal development company~offering instruction in mentoring tools, releasing energy blocks, and increasing self-awareness and confidence. Amber Stephenson has been married for 12 years to her amazing husband, and together they have 5 beautiful children ages 10 to 9 months. She is currently working as a nurse, she homeschools her children, and is still pursuing her dreams. Amber is a mentor, loves singing and photography, has recently started a photography business, and is working to publish her first CD. From work to home, and everywhere in between, she is devoted to giving her family, and anyone one else who is seeking growth, the tools to enhance their lives. Dan Dannehl lives with his beautiful family in sunny Las Vegas, Nevada. The three things most dear to him are: faith, family and freedom. He believes in the power of positivity and that you will never regret doing the right thing. 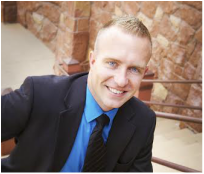 Dan is an award winning salesman, trainer and mentor for a Fortune 500 nutrition company. He is an expert presenter and has led, prepared and delivered interactive training sessions around the United States and Puerto Rico. Dan has been blessed with a special ability to connect with and teach others. Shantel McBride is a Certified Trainer, Mentor, Inspirational Speaker, Chaplain, Hospice Care Provider, Grief Mentor, focusing on assisting others with spiritual, emotional and mental balance. She is the Circle Of Life Coach. Shantel has completed many training certifications, and also graduated from CPE (Clinical Pastoral Education) as a National Board Certified Professional Chaplain. She is a TedX Speaker, and also hosted a local radio show on K-talk called "Inspired Conversations". Shantel works with Og Mandino, Inc., and has a very powerful tool that measures how you think. You can see firsthand what thoughts are serving you as well as those that are sabotaging you. She has also created a Senior Make A Wish program. 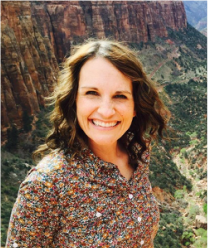 She was on her community's HOA board for 10 years, and now sits on the Advisory Board and serves as a Director Of Mentors for WOW Utah, a non profit that helps women who have been in abusive relationships, experiencing joblessness, catastrophic illness, or are suffering from drug and alcohol abuse. ﻿Aubree Ward is a vibrant 15 year old girl and the 2nd daughter of eight children. She has been homeschooled since the first grade, and loves it! She has been instrumental in helping plan and host many conferences, retreats, camps and other events over the last 4 years with Hope Haven Events. She is naturally gifted at photography, photo editing, Christ Centered Energy Healing, and lifting others up. Aubree is loads of fun and the "light" of the party wherever she goes. She is a natural gatherer and friend to all around her. Aubree loves to ride fourwheelers, go hunting, eat ice cream, take pictures, write, and read! She loves inspiring others to their greatness and to help them remember who they are. Aubree is, above all, a faithful servant and follower of Christ.